This figure is a very cartoon-accurate representation of Ultra Magnus in both modes. The robot mode proves to be very articulated and poseable. 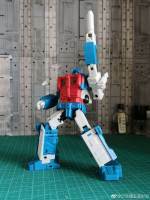 You even recreate Ultra Magnus pose shooting at the sky from the classic G1 Transformers Movie poster. 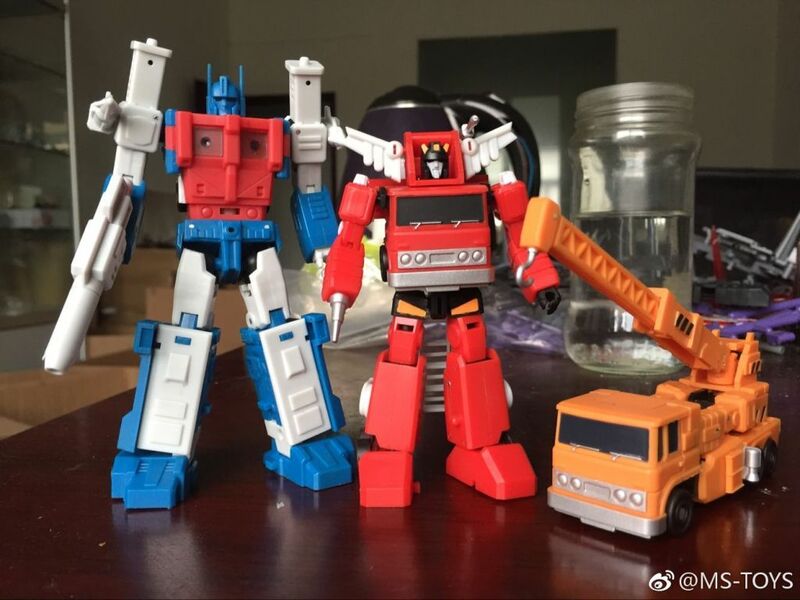 Another picture shows Magnus next to other Magic Square molds like Inferno, Grapple and DX9 Dutch (Optimus Prime), proving that the scale between these figures is well planned. Another very nice addition to the growing options of unlicensed Legends scaled figures. I believe the pic was from the general Mech Fans Toys thread here. I don't think there's a specific thread dedicated to the figure yet, as not much in the way of info or pics has surfaced at this point. Not sure about a release date either. MFT has teased a bunch a figs — e.g. this UM, a KO of MST Blaster and Inferno, original Sideswipe and Hound designs — but I'm sure when any of them are coming out or in what order. Sorry I couldn't be more helpful! Is there a MFT v2 UM thread, I can’t seem to find one? Where did u get that pic of him with hs prime? 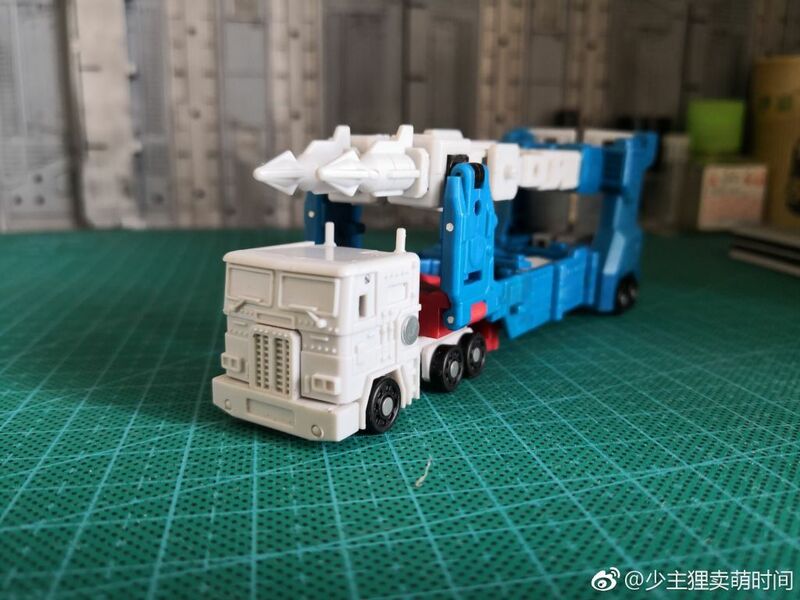 Any idea when MFT will release him? Thanks! Edit: I also seem to recall it being said that MFT v2 UM will be 13cm, which would make it shorter than their v1. This, in conjunction with the fact that v2 is based off a larger figure than v1 to begin with, is another reason why I described v2 as being a "slight" upscale. How do you know the MFT upscale will be slight? What is your idea of slight? Other upscales have been substantial, 1/3rd height increase at a minimum. I don't consider their upscaling to be slight, but yeah, its a subjective quantity. It appears that UM's height will be increased by 1.5 to 2 heads, which — if memory serves — is substantially less than was the case with their upscale of IF Magnus. That's why I used the term "slight." Besides aesthetics, I'd say the main difference is their respective sizes. 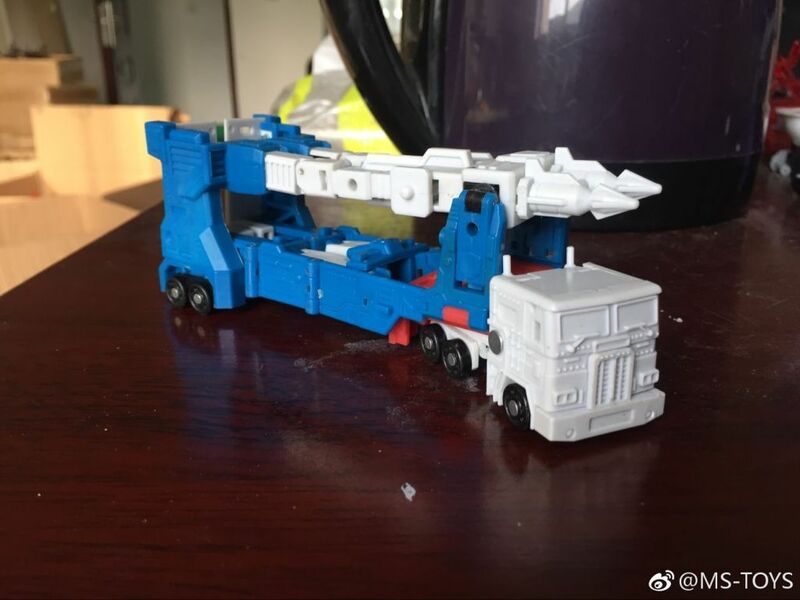 Papa Toys is much larger in both modes and this helps him scale pretty much perfectly in alt-mode with other Legends cars. Whether this makes him overly large in bot-mode depends on your personal scale preferences. Another thing to consider: Mech Fans Toys is planning to knock off Magic Square's version, upscaling it slightly in the process. So if you prefer the look of the MST version and the size of the PT version, MFT might be the version for you at the end of the day. 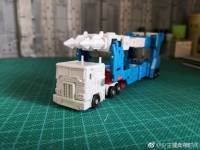 Can anyone help me in choosing between the Magic Square and Papa Toys versions of Ultra Magnus? From what I can tell, MS looks slightly more posable in bot mode, but Papa Toys holds together better in alt mode. Any other things I should know? Magic Square Magnus is a wonderful figure, until you transform him and realize he doesn't scale with anything else Magic Square Makes. I have both. The Papa Toys version is also wonderful. Has the bigger Masterpiece chunky aesthetic that I like (YMMV), and in alt mode he can hold your legends cars (MS Sideswipe, NA Bumblebee, TW Wheeljack, etc) as he was meant to. Both are worth owning, but personally, I feel the Papa Toys version wins it on total toy fun. Honestly wasn't gonna get it, but in person, even with all the looseness, he is my favorite legend figure, just really looks great in both modes. I have no loose joints on my MST Trailbreaker. The torso slide screw was a little loose and I tightened it. There were no other issues on mine and that’s why he’s now one of my favorite legends scaled offerings. no one is topping the dinobots that exist now. i dont even think it would make sense for anybody to try it. after all both sizes are covered and damn near perfect. trailbreaker is good….applying future to some of his joints now. I'm definitely down for a well-proportioned, G1 Ironhide. Way down. I have the DX9 Dinos and am happy with them. The seekers and Ironhide/Ratchet I'd love to see them try those. And I'm not saying they couldn't lure me over with new Dinos for that matter, just I'm not anxious for them. PS ON the fence about Cyclonus. I think his bot mode is the best I've seen at that size. The alt mode is unimpressive. 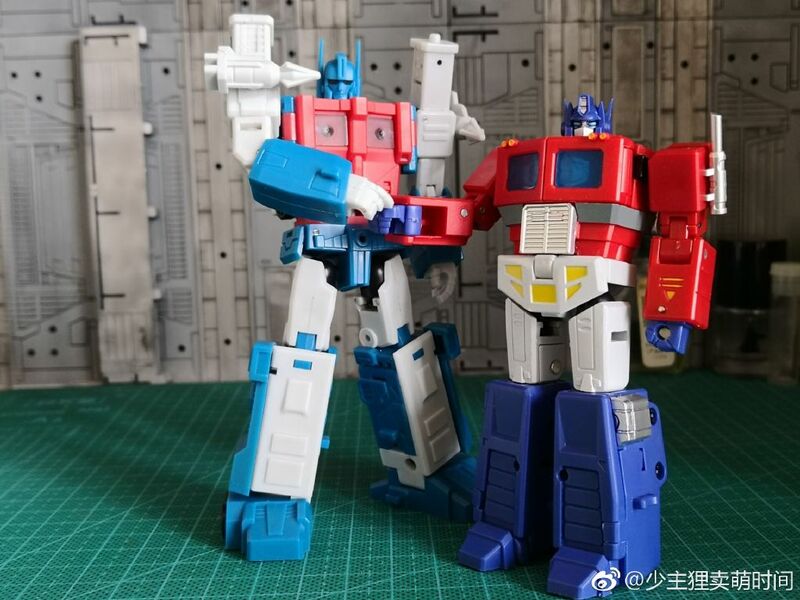 I'm waiting to see MFT's Magnus who I'd rather was bigger that MST version. I might give them another shot with Prime. Some of their figures are kinda bland and I kinda want Beachcomber, but his alt mode looks like garbage. I really do NOT like their version of Trailbreaker at all either. I definitely think they could improve the Seekers over DX9. If they want to take a shot at the Dinobots and Ironhide/Ratchet I could retire my DX9 figures. 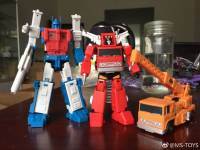 I'd love to see them do the Dinobots and Ironhide/Ratchet. So far none of the current legends Ironhide/Ratchet options impress me aesthetically. DX9's WIP legends Dinobots are damn near difficult to track down and if you find one it won't be cheap, especially Grimlock. 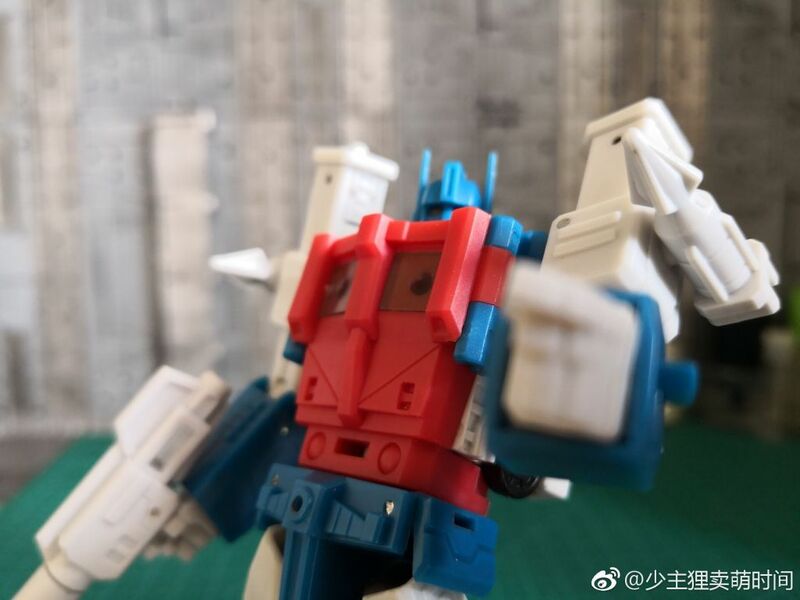 I think Magic Square is the King of G1 based, Legends scaled TFs. I really hope they do Bumblebee and all 6 seekers. So Sideswipe came in and this was my first MS purchase. Honestly, while he looks good in bot mode he is a bit underwhelming in all other areas. 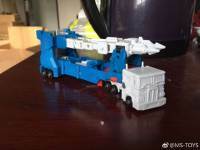 The plastic is very thin and brittle feeling, the vehicle mode refuses to tab in properly. The finish is very flat and just doesn't feel as good as my IF/ MFT and DX9 and Newage figures. The head is extremely bland. Hate to say it, but I think I might avoid MS from here on out. For the premium price they ask, they don't at all have a premium feel to them. After reading the forum awhile, I get the feeling I'm not as critical/discriminating as some, so take my thoughts with a grain of salt. But I don't feel like Sideswipe is a good representative of what MST are doing now. I kind of went out of order. Blaster and Huffer were my first two figures from them. I really like them both. I think the transformations are clever for their size and they aren't riddled with gaps/holes/etc. Some of the recent Hasbro bots triple or more their size are just warrens of voids. Huffer I'm especially pleased with. But I'll agree Sideswipe is underwhelming. I'm not sure I'd have bought more of theirs if I started there. I don't feel like I'm going to break anything but the back end does not tab in easily or tightly when it does. 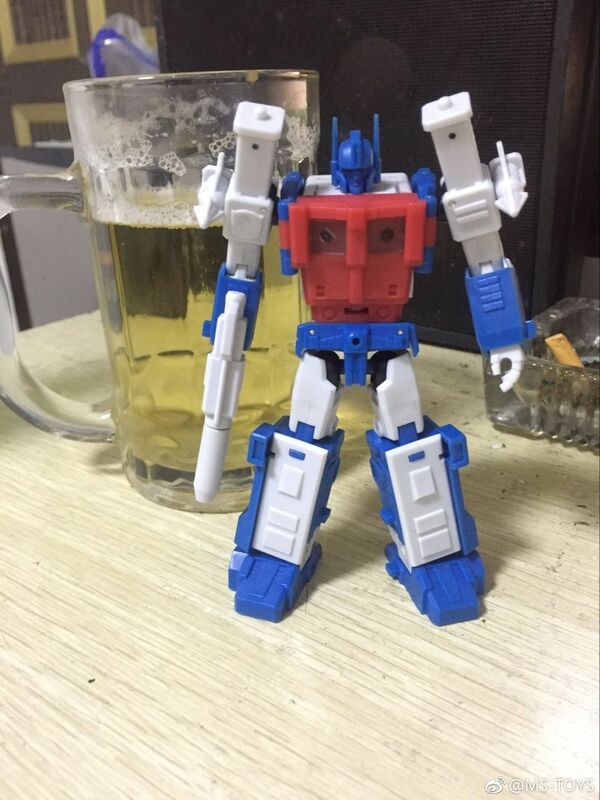 And in bot mode there's that chasm between the head and chest that I can't un-see. MFT upscaled it and improved upon it. And if I could convince myself that the larger size would fit in, I'd go that route. During the eBay flash sale the other day I looked at MST Red Alert and decided that one of that mold was enough despite wanting a Red Alert. I went for Trailbreaker instead. Other than a loose screw in his chest, most of the comments about him seem positive. PS I'm almost certain I'll get their Legends Prime and maybe their MP scale one when they come out.